Website Accessibility - Meeting the Challenge, Inc.
MTC helps organizations, businesses, and universities ensure web accessibility for people with disabilities. When the ADA became the law of the land, the internet, as we know it, did not exist. Governments, universities, and service providers embraced the internet and navigating websites for information, learning, or simply to buy goods became the new normal. The Department Of Justice has recently placed an emphasis on creating an accessible internet, and MTC is here to help. Information technology (IT) accessibility is primarily about making reasonable assurances allowing all users to effectively access and use online resources. ‘All users’ includes individuals using assistive technologies, such as screen readers, individuals using customer configurations such as large fonts or high contrast color schemes, individuals physically unable to use a mouse, and individuals unable to hear video content. MTC assessed Fort Lewis College websites to identify existing and potential barriers to digital access. MTC reviewed website accessibility policies and procedures, web accessibility techniques, and other vendor provided websites. 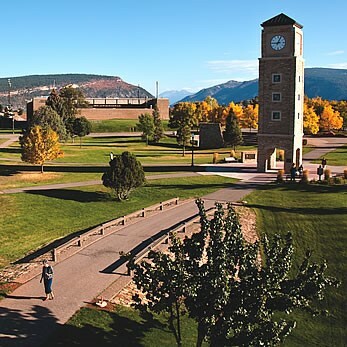 MTC provided accessibility training for Fort Lewis College website developers and other staff responsible for creating and maintaining web content. Do you need a self-evaluation and transition plan? Meeting the Challenge can help set you up for success in complying with the Americans with Disabilities Act.